We consider it a great privilege and our Christian duty to prayerfully and financially support the work of Christian missions around the world. It is a joy for us to partner with those highlighted below. Gary and Donna Beach have been involved in overseas mission work since 1977. The Lord’s first assignment for them was a church-planting ministry in a remote village in Senegal, Africa. For ten years they were in Cote d’Ivoire, Africa, serving with NTM (New Tribes Mission). God used Gary’s building skills in an important support ministry of building simple, but adequate housing for other missionaries in very remote areas. This ministry helped the missionaries settle in and adjust to their new environment. It also helped speed up the process of learning the language and culture, so that the missionaries could teach and translate the Scriptures for the Africans in those language groups. In the summer of 2001, Gary and Donna relocated to England, where they had the opportunity to serve at the new NTM facilities at North Cotes, England. In 2000, the Lord miraculously provided for NTM to purchase a former RAF base, move and expand the already existing Bible College, and develop a missionary training program for Christians desiring to study the Bible and train for global ministry. Gary’s role is to oversee the development of this property including the renovation of existing buildings. In addition, he teaches practical skills to students, preparing them for living in a third-world country. Donna fills a role in the office, and they both appreciate the opportunity to mentor some of the students. The Beach’s sending church is Community Bible Church in McDonough, GA, where they have been members since 1976. They have two sons and two daughters; all are grown and married and serving the Lord. We are theLowerys who live in Buriram, Thailand. Our goal is to plant an indigenous, self-supporting, reproducing church in this city. We operate a community center in order to stay plugged into the community, show love through a variety of community services, and from which we base our evangelistic and discipleship ministries that we believe will lead to a local church of Thai believers. Our motivation, like the Apostle Paul’s, is to “do it all for the sake of the gospel.” (1 Corinthians 9:23) High Plains Baptist Church of Hays, Kansas is our sending church and missions organization. You can contact us at Lowerys2Thailand@gmail.com, and you can follow us on Facebook at Lowerys2Thailand. Since 2013 we, Caleb & Melissa Gibello, have been in Papua New Guinea (PNG) doing pioneer Gospel mission work. Emmanuel Baptist, our home church in NJ, has sent us to do this work, and we are part of Papua New Guinea Missions. In 2017 the Holy Spirit providentially opened a door for our family of four to settle in the remote unevangelized village of Moka. Prior to us going to Moka, the Gospel had never been preached there, or any of the six other villages in that area – it is truly an unevangelized people group. These people have never been evangelized, and there are no Christians in any of these remote jungle villages. The Holy Spirit has sent us to this area to preach the Gospel and start biblical churches – the kind of mission work we see in the NT. I (Caleb) have begun to preach the Gospel in the national language throughout these villages; and we are learning the local vernacular to not only preach the Gospel, but also translate the Scriptures for these people. The people of and around Moka are mostly illiterate, and their local language remains unwritten. Jesus has given us a unique opportunity and privilege to bring the Gospel to these people for the first time in history – this ministry is true pioneerGospel work. The central verse that drives our ministry is Romans 15:20 – it is our goal to preach the Gospel, not where Christ has already been proclaimed. I am Richard Nsenga, married to Mary Nsenga with three children; Joshua, Elisha and Rebekah. We are currently serving in New Life Community Church which is a new church plant located on the outskirts of Kampala City, Uganda. New Life Community Church is a new reformed church plant in Kakerenge village, Wakiso district seeking to preach Christ amidst people who have been living in animism and superstition. New Life Community Church is now serving its members (within the Church) as well as other church leaders upcountry who cannot afford to be at theological seminaries or schools. For its members there is discipleship where the major goal is to see that members are living out the gospel in the market place (daily lives). In this way, as they share the gospel with unbelievers, their lives will be letters that convey the gospel even before they have preached it with their mouths. To other churches, its Pastor (Richard Nsenga) has been training Church leaders in different places by applying Paul’s and Timothy’s pattern of (entrusting to reliable men). As a church growing in our relationship with Reconciliation Baptist Church, we seek daily to reform and serve as we learn from RBC as a church. Our family will soon be adopted as members of RBC and later sent as one of them. For His Name’s Sake and the Gospel’s – We live in Bucharest, Romania with our five children Hannah, Demetrius, Ilinca, Lidia and Victoria. God has blessed us to do the “work of an evangelist” here and throughout the country. Basically, we are preaching the gospel and teaching others how to do so Biblically. We are also involved in printing tracts, evangelistic video work, pro-life work, prison ministry, preaching, and various forms of internet evangelism. We are missionaries serving under IGO-Worldwide https://www.igo-worldwide.org/christ-for-romania and are members of and serve in Biserica Agape Bucuresti http://www.agapebucuresti.ro/ here in our city. In the summer of 2001 Howard and Jannie Johnson moved from Wisconsin to minister to the Indigenous People of Canada. The goal of their ministry is to plant a Native American church. They will be involved in Bible studies, evangelism, discipleship, women’s and children’s outreach, and service in a variety of cultural contexts. Evangelistic outreach to Native people has many challenges. By the mid-1800’s the British Government assumed control over the political, social, religious, and economic aspects of the Indian culture. For generations, Native children were forcibly taken from their homes and families and sent to live at boarding schools run by religious orders. The government probably had good intentions with the residential school program, but the results were the destruction of families. While at the residential schools, most of the children suffered emotional, physical, or sexual abuse. One hundred years of government-imposed religious indoctrination have caused many survivors of the residential schools to view Christianity and missionaries from a negative perspective. They associate their deep pain with “The Church”, and reject Christianity before they have really had a chance to understand the good news of Jesus Christ. Fortunately, the residential school program ended in 1985. There is a new generation growing up without the same painful memories, and by God’s grace, more openness to hear what the Gospel is really about. Howard served three years in the U.S. Army as a Chaplain’s Assistant. He led Bible studies and participated in evangelism at each base where he served. Jannie grew up in a Christian home in The Netherlands. Through God’s wonderful providence God brought Howard 6000 miles into Jannie’s Dutch home where they met. They were married in 1976 and have been blessed with four children. The Johnson’s serve with North America Indigenous Ministries (NAIM). Andrew and Sophia Pitcher have been serving in full-time ministry with Wycliffe Bible Translators since 2011. After initial assignments in France and Senegal, West Africa, in late 2015 the Pitchers were seconded to SIL’s Southern Africa Service Group based in South Africa. Andrew is trained as a linguist and translator and Sophia is a specialist in Hebrew. They are currently serving as exegetes for the South African Sign Language Bible Translation project, to reach the estimated 600,000 Deaf South Africans with God’s Word in their first language. Andrew and Sophia have three daughters and their sending church is Bethlehem Baptist Church in Minneapolis, Minnesota. Geoff Ingrum is the pastor of Heritage of Grace Church (HGC). Burdened by the lack of biblically sound, Christ-centered, reformed baptistic churches in the Metro-East, Geoff helped plant HGC in Columbia, IL, in March of 2014. Heritage of Grace is a member of the Fellowship of Independent Reformed Evangelicals (FIRE), and, since its inception in 2014, HGC has grown to 45 members and continues to serve as a pillar and buttress of the truth in the greater St. Louis area. Geoff has been married for twenty years to his wife Raechel, and they have four beautiful children who are growing in the fear and admonition of the Lord. As a “church-based” institution, Reformed Baptist Seminary (RBS) operates under the oversight of the local church and the counsel of an advisory board, academic committee, and other likeminded churches. The seminary’s faculty primarily consists of instructors who not only have biblical knowledge and teaching ability, but also are qualified pastors engaged in pastoral ministry. Finally, RBS requires each student’s pastor to provide general oversight of his training and to serve as his mentor and proctor. RBS exists to help churches train men who aspire to gospel ministry, as well as to provide further training for men who are already engaged in gospel ministry. 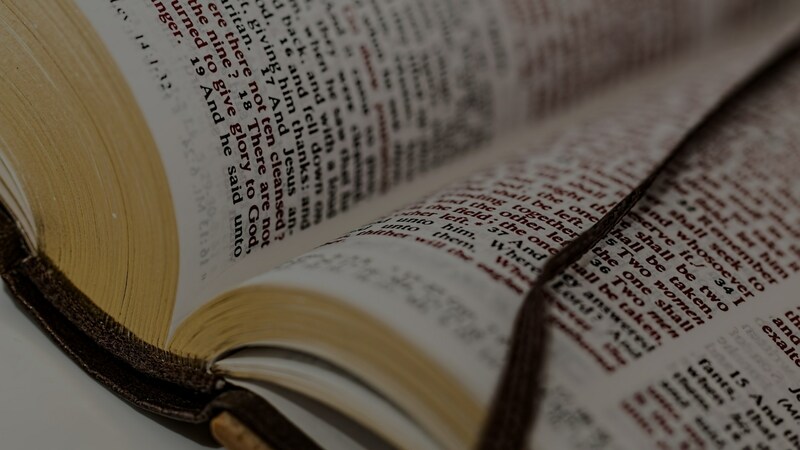 Secondarily, as an extension of the local church’s teaching ministry, the seminary also provides further instruction for laypeople who desire to enhance their understanding of Scripture. Reformed Baptist Seminary International (RBSI) is a ministry of Reformed Baptist Seminary that seeks to provide biblical training for pastors and ministerial aspirants who reside outside the United States and have neither the time nor money to pursue an extended, residential, formal theological education. Until Providence opens a door for them to receive a fuller education, RBSI meets the need of offering basic theological training to ground them in the great doctrines of Scripture. RBSI offers a version of RBS’s Marrow of Theology program, giving students an introduction to sacred theology and a platform on which to build further theological studies.